Tea time! 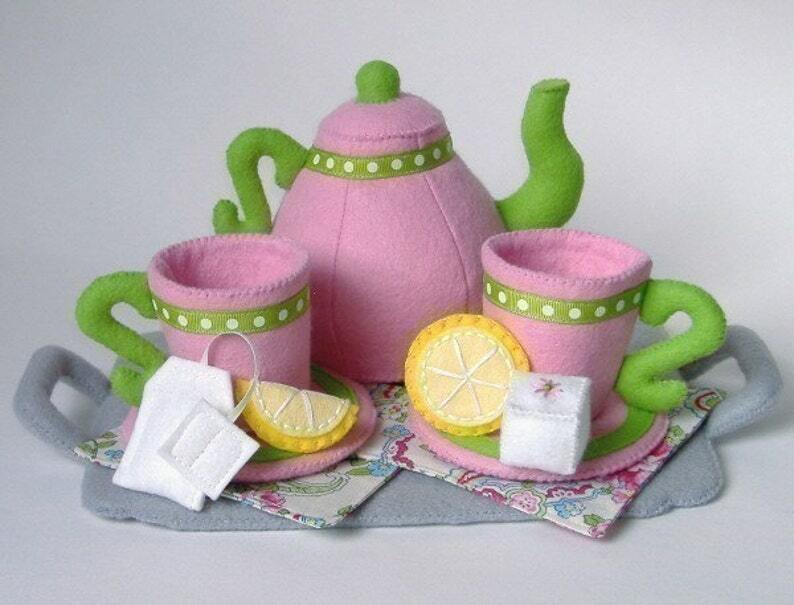 Everything you need for your next fabulous tea party is included in this whimsical pattern. A lovely teapot, teacups & saucers, tea bag, sugar cubes, lemon slices, napkins- and even a fun serving tray, to serve your guests. I love it. Well better yet my granddaughter loves it. Easy to make.